If you are racking your brains on how to give your house a luxurious look within budget, DecoHome is here to give your imagination as realistic feel that you always dreamt of. After every few years, we are fed up of seeing same kind of interior in our house including curtains, cushions, pillows, bedding etc. & want to bring in a change. Infact, its a trend now-a-days that every family member insists on adorning his/her space as per personal choices to feel more connected to it. 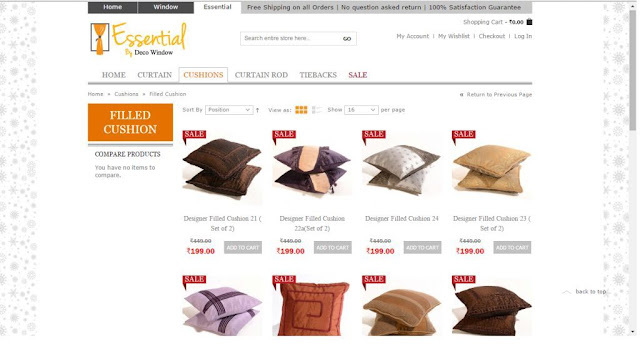 To shop the most varied collection of curtains, cushions, tiebacks online in India, one just needs to explore the smart portal DecoEssential and you will be enticed to spice up your existing interiors with the trendy yet pocket friendly products which are designed keeping in mind the market trends. Not just that, you can simply pick a color theme that goes well with your house's exteriors and can add a pop of colorful accents. But when your house is ready to strike in new avatar, the old/faded hardware show up their face spoiling the entire glam look. So why not invest some more bucks wisely and install quality curtain rods, blinds, valance etc so that your house screens itself seamlessly decorated. Usually we need to visit and hire a professional for this task, but DecoWindow is within our reach that promises to provide quality products online without stepping out of your cozy space. I bet you won't find this kind of service anywhere else that so keenly looks into the minute details. Decking up your our homes is much more simpler now without spending hours looking for appropriate place and person to shop for our sweet home. Just a careful eye and refined taste can do wonders to lay down our creative ideas online at DecoHome. 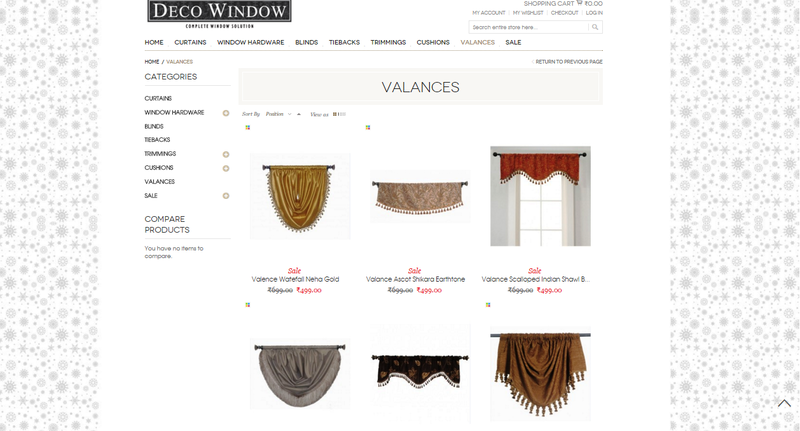 I have seen their website, really they have wonderful collection. Yes, no doubt little expensive products.